This Paleo Almond Butter Bread looks so warm and delicious right out of the oven! One of our members, DJ Clancy, his wife Lori shared this mouth watering picture on Instagram and the recipe with me. I can’t wait to make it soon! From her recommendations, it’s easy to make & freezes well, works great as sandwich bread or a delicious protein packed snack, topped with a nut butter, honey & fruit. Yum! Mix together the almond butter, eggs & honey until creamy. Add the remaining ingredients to the batter & blend until creamy. Pour batter into a greased baking pan (3 1/2 x 7 1/2 in loaf pan. Bake for 30-40 minutes, or until a toothpick inserted in the center comes out clean. Let cool & slice. Seal & store at room temp for a few days, in the fridge for a few weeks, or in the freezer for a month. 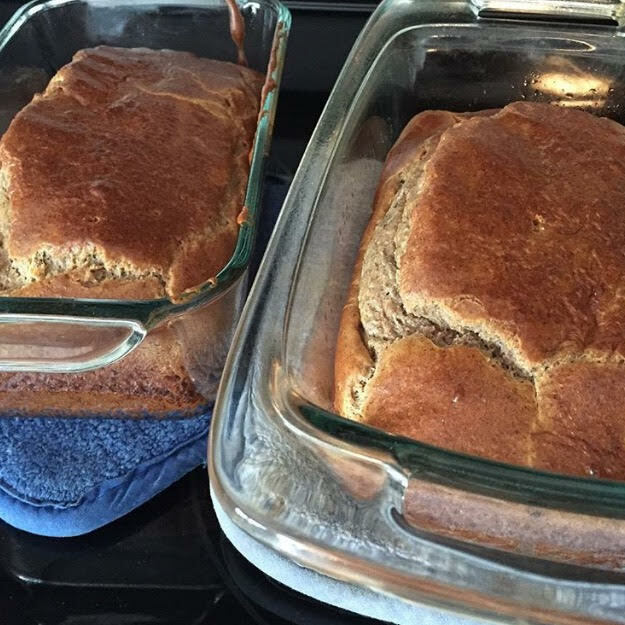 Today’s recipe was shared last week by Warren on RISE Charlotte’s blog. This recipe is super simple and very versatile. It’s a sweet potato hash that doesn’t lack in the flavor department and is good to eat for several days in a row. It can be breakfast, lunch, or dinner. Enjoy! Heat 2 tbsp coconut oil on a skillet. Cook cubed sweet potatoes for 20-25 minutes on low to medium heat. 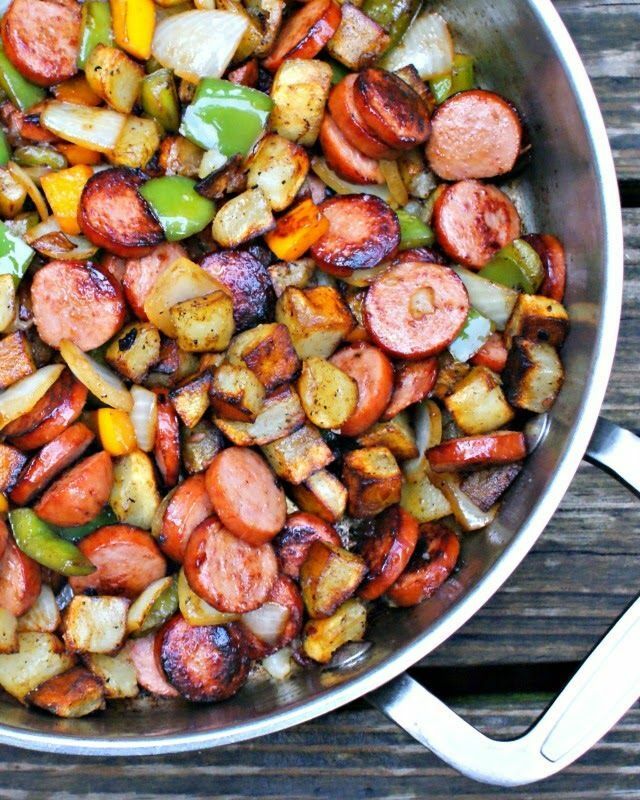 Add in onions, green apple, chicken sausage and continue to cook for 20-25 minutes. If you wish you can add in green and yellow peppers.